Mayra Leal is a talented Latina cinema artist of Mexican and El Salvadorian descent, born in Houston, Texas. The University of Houston Communications and Mathematics graduate has discovered a passion for film, TV and digital media and is garnering the attention of veteran producers, directors, business leaders, marketing agencies, fashion designers, and a growing loyal fan-base. She enjoys the business of entertainment, but loves to spend time with her family and friends when not on the set. She currently resides in Malibu. 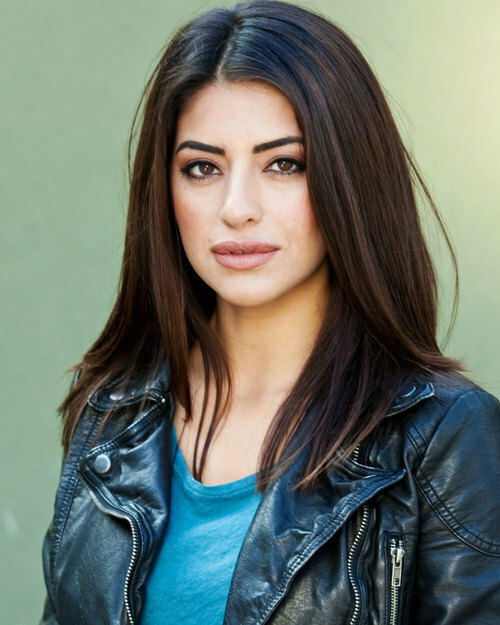 Mayra has over 32 movie and TV credits to her name and has appeared in several music videos, featured in “Locked Up Abroad in Bangladesh” – National Geographic, “Revolution”, “Southland”, and “Memphis Beat”. She has also been introduced in “Machete” by Director Robert Rodriguez, starred in “Playing House” by Director Tom Vaughn and supported in “Sanitarium” with Robert Englund (“Freddy Kruger”) and Lou Diamond Phillips, to name a few. She most recently completed “The Wisdom to Know the Difference” by Director Daniel Baldwin with William Baldwin, Lou Diamond Phillips, Andy Bowles Elle LaMont and Faith Stanek, which resulted in four best pictures with prominent film festivals and two best actor nominations for Mayra.